From porcelain veneers to teeth whitening, we combine the best materials with the latest technology to create beautiful smiles for patients across Northern Virginia. For those who do not have dental insurance, no worries. We offer a free membership plan that provides significant discounts on all our services. Ask us today to learn more! Let Dr. Bassiri evaluate the relationships between your head, teeth, jaw and neck to eliminate pain and to build smiles that look great and function like nature. We understand most people do not like going to the dentist. Some are even scared. That is why Dr. Bassiri and his team go the extra mile to provide each of our guests with a comfortable environment where you can relax. Our top priority is always you. Once we understand your needs, wants and dreams, we combine the latest technology with the best training and little extras such as noise-canceling headphones to make it possible for you to look forward to your next visit. Beneath the relaxing calm of the office is a team dedicated to delivering an unmatched level of clinical dentistry. 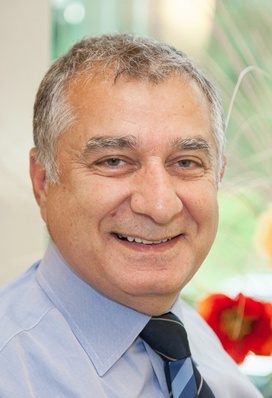 Dr. Bassiri is a graduate of the prestigious Las Vegas Institute, and he is uniquely qualified in both neuromuscular and cosmetic dental procedures. Whether you are visiting for a check-up and cleaning or have significant, restorative needs, this expertise benefits you. 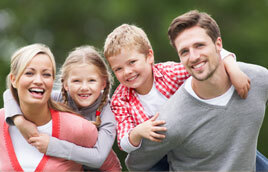 Our practice is designed to help families achieve healthy, functional and beautiful smiles that last a lifetime. Dr. Bassiri and his team makes it easy to go to the dentist. With two, convenient locations in Fairfax and Gainesville, and Saturday hours, there is no reason not to take advantage of our commitment to help you smile. Also, we save you time and money by handling many, advanced procedures in our offices. Other practices rely on referrals to costly specialists. Our training enables us to do much of that work here. From dental implants to extractions and root canals, we work hard to make exceptional dentistry convenient and affordable. Fairfax (703) 385-9161 3891 Plaza Dr.